The focus is on Philadelphia in the new issue of LAM, with stories on four projects by OLIN Studio in their hometown as well as pieces on the city’s green infrastructure, new habitats at the zoo, special-use parks, and a hardworking new green space on the Penn campus by Andropogon. All this along with the regular features in Goods, Now, and Species, a fresh look at André Le Nôtre’s legacy, and a new book on the work of Hargreaves Associates. Read the full table of contents for January here or preview the digital issue of the January LAM here. All in? You can buy the current issue of the magazine at more than 200 bookstores including many university and independents as well as at Barnes and Noble. You can also purchase single digital issues for only $5.25 at Zinio. Want more? Annual subscriptions for LAM are a thrifty $59 for print and $44.25 for digital. Our subscription page has more information on subscription options. Check in with the LAM blog as we’ll be ungating some of the January issue as the month rolls out. 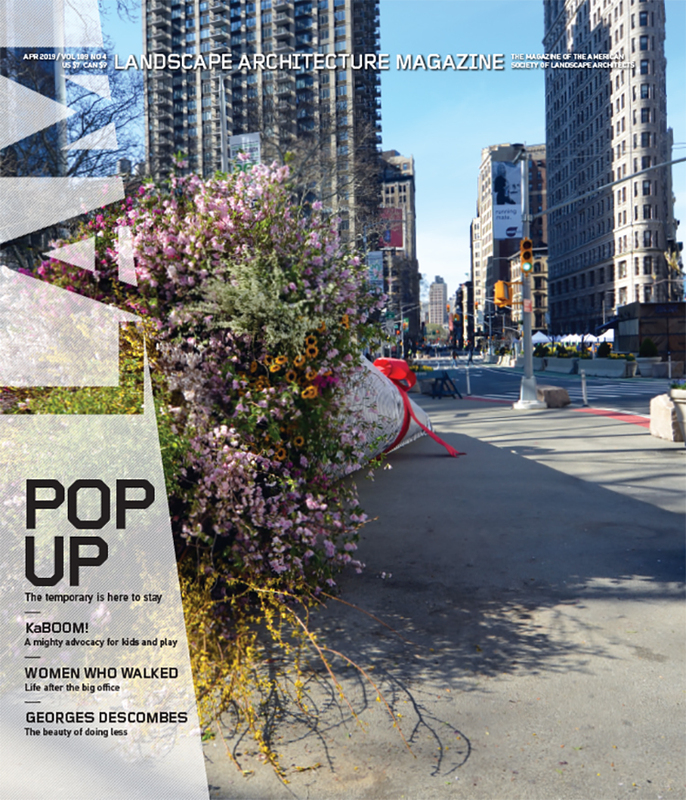 Image credits: Cover, © OLIN/Sahar Coston-Hardy; Rodin Museum, © OLIN/Sahar Coston-Hardy; Shoemaker Green, Andropogon Associates; Palette, Steven Gierke, ASLA/Courtesy Hoerr Schaudt; Museum of Freeway Art, SWA Group; Sister Cities Park, Todd Mason at Halkin Architectural Photography.